Choosing the Adventurous Route: The Career Path for Non-Managers Video of my PyTennessee 2019 keynote, about making the most of a lifetime as a coder. 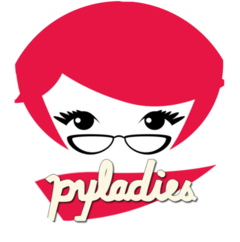 Video: Writing Winning Proposals for Tech Conferences For PyLadies, I gave a webinar about CFPs, as part of the Global Diversity CFP Day. Watch the video for my tips about launching your speaking career. Video From PloneConf 2017: Why Generosity Turns to Rage My keynote about how to master our emotions and be nice to beginners. "How Do Python Coroutines Work?" Live-Coding Video From Open Source Bridge 2015 The Open Source Bridge conference recently published this video of me building, in barely 30 minutes, a Python 3 async framework. "March To Triumph As A Mentor": Video The Software as Craft Philadelphia Meetup generously recorded my March To Triumph As A Mentor talk. PyCon 2014 Video: What Is Async, How Does It Work, & When Should I Use It? My talk about Python's asyncio library, and async frameworks in general. My PyCon Lightning Talk About Toro A 4.5-minute talk on Toro, my package that provides locks and queues to Tornado coroutines.